Sam Houston State University students will be returning to Huntsville this week for fall classes, which will begin (Wednesday) Aug. 24. Students who have not registered may do so Monday and Tuesday, with late registration being held through Thursday. Night classes will also begin Wednesday. Maxine Clarke, assistant to the associate vice president for Academic Affairs, will be honored with a retirement reception on Tuesday (Aug. 30). The reception will be held from 2-4 p.m. in Austin Hall. Clarke has worked within the university for 21 years. For more information, contact Dorothy Roberson, assistant to the provost and vice president for Academic Affairs, at 936.294.1001. The Office of Public Relations is seeking information on events that will happen throughout the semester for the Today@Sam online calendar pages. Calendar pages are often used by media outlets, as well as the PR office, as sources for various stories. Event information, including the name of the event, when and where it will be held and the event’s sponsor, as well as a description of the event, can be sent via e-mail to jenniferg@shsu.edu or today@sam.edu, or can be faxed to 936.294.1834. A collection of recent work by the winner of the art department’s endowment scholarship, as well as two runners up, will be on display in the Gaddis Geeslin Gallery Aug. 22 through Sept. 8. 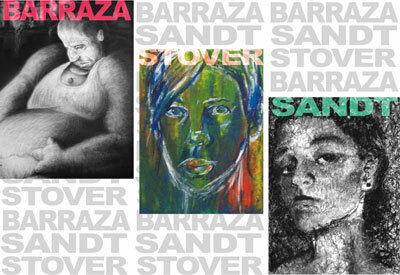 Oscar Barraza, this year’s scholarship recipient, and runners up, Joanne Sandt and Katy Stover, will display their drawings, paintings and possibly jewelry as part of the annual exhibit, according to slide librarian Debbie Davenport. The art endowment scholarship is awarded annually each spring semester. Students are nominated by faculty members and are required to submit a portfolio for review by the faculty. Recipients are selected based on grade point averages overall and in art, as well as on artistic ability. A public gallery reception will be held Sept. 1, from 5-7 p.m. in the Gaddis Geeslin Gallery. Refreshments will be served. The Gaddis Geeslin Gallery is located in the Art Complex Building F. Gallery hours are Monday through Friday, from noon until 5 p.m.
For more information contact Davenport at 936.294.1317. Over 250 alumni from the SHSU agricultural sciences department attended the annual agriculture alumni meeting and dinner on Aug. 2 in Galveston. The annual gathering is held each year in conjunction with the Agriscience Teachers Conference and is attended by graduates from programs in agricultural education, animal science, agricultural mechanization, agribusiness and horticulture-crop science. The event was hosted by the SHSU Ag Alumni Association at Garten Verein, a historic structure in Galveston that once served as a social meeting place for German descendents on the island. In addition to a prime rib dinner, silent and live auctions raised over $4,000 for the Ag Alumni Association. Funds raised by memberships and other activities have been used to support student activities, fund awards and scholarships, provide matching funds for capital equipment purchases and assist with construction projects for the department for over 30 years. Outgoing president Bob Choiniere welcomed new association president, Greg Shipp of Huntsville, as well as officers Damon Acord of Normangee, vice president; Kelly Hammons of Houston, secretary; Brenda Oates, treasurer; and Tammy Winkler of Huntsville, executive director. Other current advisory board members include Jeff McKnight of New Caney; Stephanie Schulz of Lindale; and Jeffrey Brown, Karl Collins and Gary House, all of Huntsville. Newly elected board members include Kelly Sullivan of Groveton; Mark Kroschel of Conroe; and Jamie (Lomas) Gretz and Charles Sturrock, both of Huntsville. Newly elected faculty representatives are Dwayne Pavelock and Marcy Beverly. Next year’s meeting will be July 25 in Amarillo. Those interested in joining the association should contact Winkler at 936.294.1674.